OLD PARKED CARS. 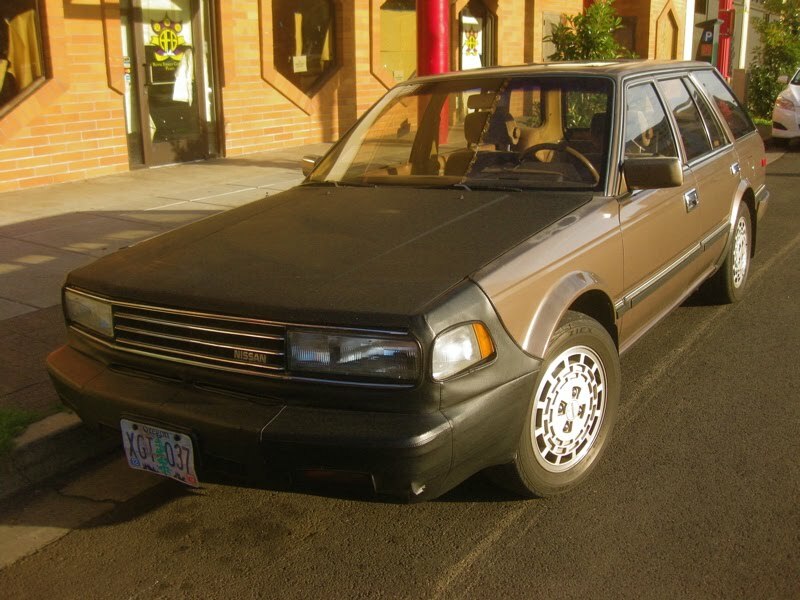 : 1987 Nissan Maxima Wagon. 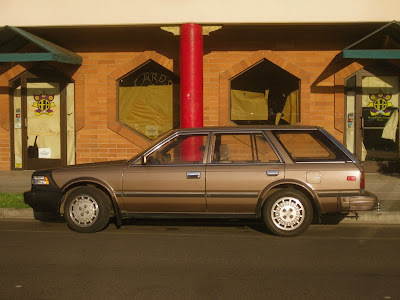 Used to see so many of these back in the 90's.....all gone now. A damn shame. 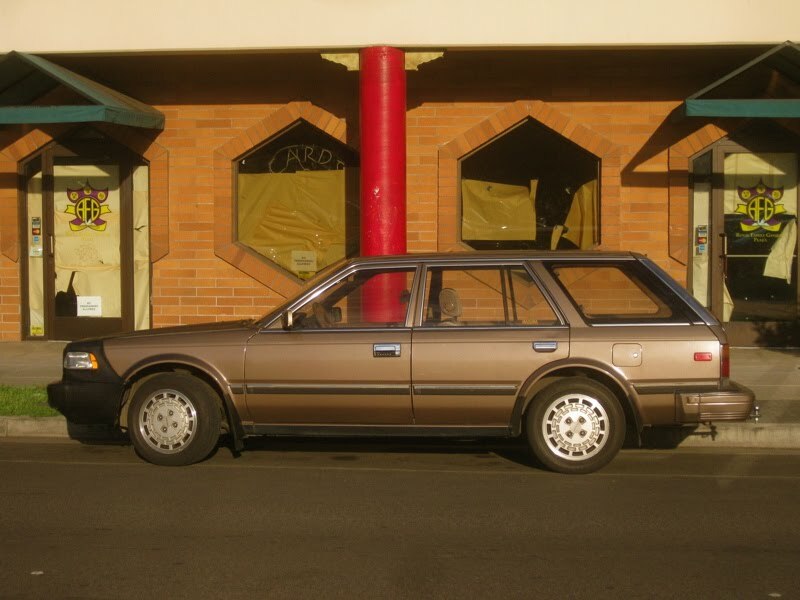 Could be such a good sleeper wagon, especially with that Phat bra. That's the biggest and best bra I've ever seen on a car. Like the Cressida, I'm sure this would have no problem accomodating any of Nissan's big engines of that era, 280zx Turbo, 300ZX Twin Turbo...(searches youtube). Ha! my jaw dropped at first glance, to see a bra covering the entire hood, but it's actually just black primer. hence the "primer" tag. 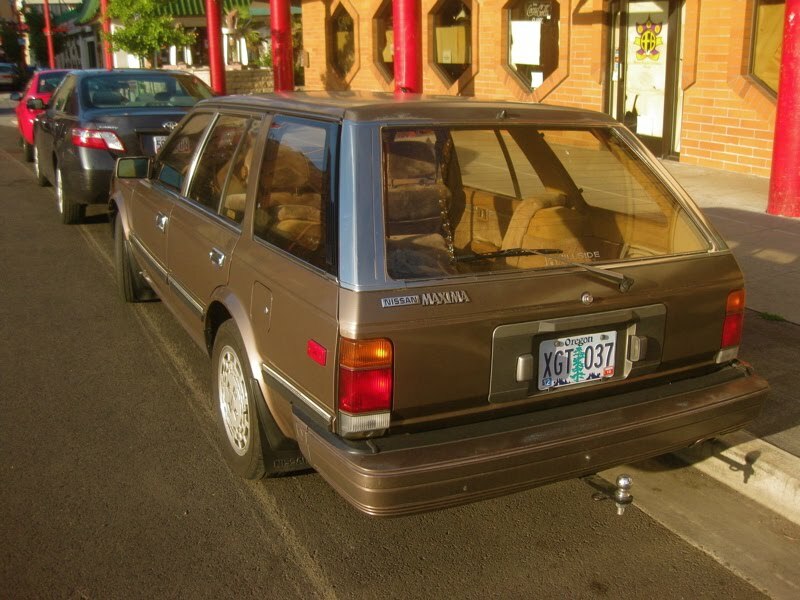 I had a 1985 SE sedan, same model run. It had the 300Z V6 turning the front wheels.